It’s very easy to find yourself on the wrong side of a positional grind when facing 1.d4. White usually pushes the c-pawn next and you’re left struggling for room to breathe. It takes patience and slow maneuvering before you can get any sort of activity for your pieces. That changes now! In this week’s free webinar, IM Valeri Lilov is going to introduce you to an opening that gives you rapid development AND instant pressure over the center. A counter-attacking weapon that will take your opponent out of their comfort zone on move 2, handing you an enormous psychological advantage. 1) A sneaky pawn sacrifice that wins Black the initiative as early as move 5 – even Levon Aronian couldn’t handle the pressure and found himself unable to do anything with the White pieces! 2) How to ramp up the pressure and let it build into a relentless, overwhelming attack, ruthlessly targeting your opponent’s weaknesses. 3) The killer blow that shocked the whole world – deadly sacrifices to smash the enemy’s King position. Not only will you pick up a powerful new opening, you’re also going to learn how GMs retain and build the initiative until it turns into a game-winning advantage. 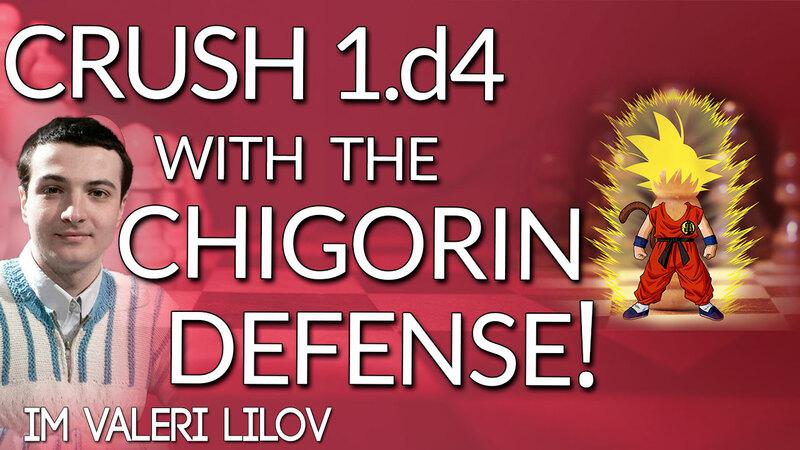 If you’re bored of positional grinds as Black, make sure you join IM Valeri Lilov for this webinar!